No code needed. 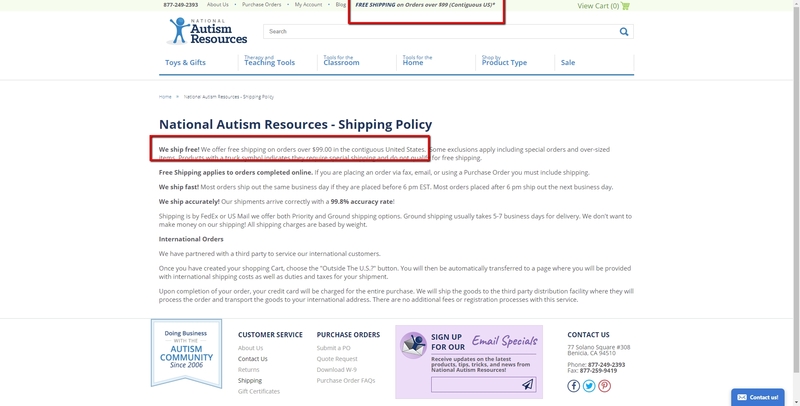 Click the button to redeem your discount at nationalautismresources.com. This coupon was last used 10mo ago and is currently rated Likely to work. Ongoing deal, never expires. Last validated 1y ago . Used 5 times.